DynoTune Product, 910-Liquid Filled Nitrous Pressure Gauge 1.5" - DynoTune, Nitrous systems, Purge kits, Nitrous Bottle heaters and more! 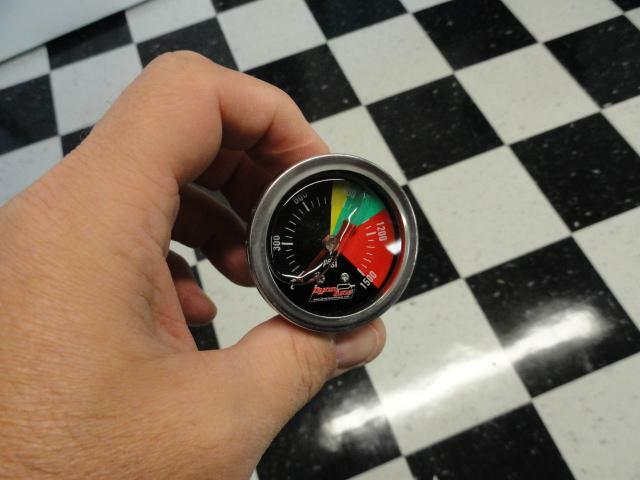 Liquid Filled Nitrous Pressure Gauge 1.5" with black or white face and chrome bezel(pick the face color). Mount this show quality gauge on your bottle so you can keep an eye on that bottle pressure. Comes with 1/8" NPT male output fitting so it can screw right into the side of your bottle port.